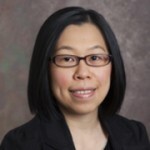 Dr. Sheau Ching Chai is an Assistant Professor and Registered Dietitian who received her PhD from The Florida State University. Prior to joining the faculty at the University of Delaware, Dr. Chai completed her postdoctoral training in the Nutrition Research Institute at the University of North Carolina at Chapel Hill. Her research focuses on investigating the role of functional foods (foods and food components that provide a health benefit beyond basic nutrition) and dietary antioxidants in prevention and reduction of age- and nutrition-related chronic diseases such as cardiovascular disease, osteoporosis, and cognitive decline. Other areas of research include investigation of the link between inflammation, oxidative stress, and chronic conditions in humans. Dr. Chai has conducted several dietary intervention studies involving older adults and postmenopausal women. Her research findings have shown that several plant-derived foods are able to reduce the risks of cardiovascular disease, bone loss and cognitive decline. Chai SC, Foley EM, Arjmandi BH. Anti-atherogenic properties of vitamin E, aspirin, and their combination. PLoS One. 2018 Oct 25;13(10):e0206315. Chai SC, Davis K, Wright RS, Kuczmarski MF. Impact of tart cherry juice on systolic blood pressure and low-density lipoprotein cholesterol in older adults: a randomized controlled trial. Food & Function. 2018 Jun; 9(6):3185-3194. Chai SC, Jiang H, Papas MA, Fang C, Setiloane K. Acculturation, diet and psychological health among Asian students. Journal of American College Health. 2018 Jul; 6:1-8. Pourfshar S, Johnson SA, Keshevarz B, Feresin SG, Kahlil DA, Chai SC, Arjmandi BH. The effects of supplemental vitamin E on hemotological parameters in rat model of ovarian deficiency. Menopause. 2018 Mar; 25(3):336-42. Arjmandi BH, Johnson, SA, Pourafshar S, Navaei N, George KS, Hooshmand S, Chai SC, Akhavan NS. Bone protective effects of dried plum in postmenopausal women: efficacy and possible mechanisms. Nutrients. 2017. May 14; 9(5): E496. Hooshmand S, Kern M, Metti D, Shamloufard P, Chai SC, Johnson SA, Payton ME, Arjmandi BH. The effect of two doses of dried plum on bone density and bone biomarkers in osteopenic postmenopausal women: a randomized, controlled trial. Osteoporos International. 2016 Jul;27(7): 2271-9. Hooshmand S, Kumar A, Zhang JY, Johnson SA, Chai SC, Arjmandi BH. Evidence for anti-inflammatory and antioxidative properties of dried plum polyphenols in macrophage RAW 264.7 cells. Food & Function. 2015 May 13;6 (5):1719-25. Chai SC, Hooshmand S, Saadat RL, Payton ME, Brummel-Smith K, Arjmandi BH. Dried apple versus dried plum: The impact on cardiovascular risk factors in postmenopausal women. The Journal of the Academy of Nutrition and Dietetics. 2012 Aug;112(8):1158-68.